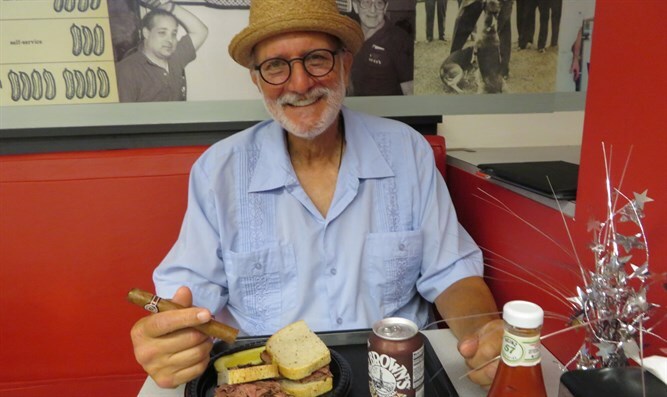 Alan Gross, after spending 5 years in a Cuban prison, is starting over in Israel. Alan Gross, who was released from a Cuban prison in December 2014 after five years of imprisonment for his work connecting Cuba's Jewish community to the internet, immigrated to Israel. Gross, 68, told JTA that he and his wife, Judy, had made aliyah, immigrating to Israel under the Law of Return. "It came through on May 3, which is Golda Meir's birthday, and a day after my birthday, which is also Herzl's birthday," he said. "It was long overdue. I'd been going there for more than 40 years, and I'd worked in Israel and around the region." Gross was released in December 2014 as part of a broader exchange in which three Cubans convicted of spying were released from American prisons. The same day, then-US President Barack Obama announced renewed ties with the communist nation. As a contractor who worked in development, Gross was especially busy in Israel, working on joint Israeli-Arab development after the launch of the Oslo peace talks in 1993. "I was in Israel probably 60 times before I made aliyah," he said. Alan and Judy Gross live in Tel Aviv. They have a daughter living in Jerusalem with her wife and their daughter, the Grosses' granddaughter. "My other daughter got married this weekend [near Portland, Oregon], and she and her husband are teachers and are going to move to China," he said. "It's only a 10-hour flight to Hong Kong" from Tel Aviv. "I walked into IKEA first and last time in Rishon [LeZion], it was just like all of the others I've seen," he said. And yet: "This was unique because almost all of the people were Jewish. That’s an incredible, refreshing feeling." Gross could not pinpoint a time he started thinking about making aliyah. "I can't say Cuba had anything to do with it," he said. "I don’t think my Jewish background had anything to do with my treatment. "The first time I went," when he was 28, "my wife and I co-led a group of 45 teenagers for 45 days for BBYO. I'll never do that again, but it really turned me on. Six months later I was working for BBYO." He spent four years with the Jewish youth organization and another four working for the Jewish federation in Washington, D.C., and then he returned to his chosen field, development. In Israel, Gross also wanted to vote. "With all due respect to Israeli Prime Minister Binyamin Netanyahu, he’s a brilliant man and the No. 1 expert in the world in terms of holding onto his job," Gross said. But he won't delve much further into Israeli politics, except to say he plans to exercise his right to vote. "If you don't like what's going on in Israel," he said, "make aliyah and vote." What's his favorite thing about Israel? "Walking. Every day I walk up to the Carmel Market, into Jaffa and to the Tel Aviv port," he said. Gross shows off his Rav-Kav card, which gets him onto any mode of transportation -- train, bus, light rail -- for half price because he's a senior citizen. He marvels about Israel's public transportation and notes it takes him 90 minutes to get from his daughter's home in Jerusalem to his Tel Aviv flat. He wishes more Israelis loved it like he did, fretting -- like a veteran Israeli -- about the traffic accidents in the country. He also kvells about a cigar store in Tel Aviv called Brill, where he meets every Friday afternoon with an array of aficionados and talks politics and "fake news" over cigars, hummus and whisky. He acquired the cigar habit in jail. "The Cuban government would give me a box of nice cigars every time a dignitary visited," Gross recalled, brandishing one he purchased in Switzerland. "Each box was worth a month's salary to a Cuban. They got me hooked, the motherf*****s."
Would he go back to Cuba given the chance? "I'd go back in a heartbeat," he said. Gross has written twice to the Cuban Embassy here just wanting to talk. He hasn't heard back. He wants to see the families of his cellmates, who brought him food. "They helped sustain me for five years," Gross said. "They're my family, too." Gross lost five teeth to poor nutrition during his time in jail. "They had a lot more cigars than food," he said of the Cuban authorities. "Fifty percent of the arable land in Cuba is not being cultivated." Gross said he had joined Twitter and Facebook before his 2009 arrest in Cuba, but hadn't much use for either. That changed when he returned. "Facebook enabled me to reconnect with a lot of friends and family," he said. "People didn’t know how to react to me, a lot of people wanted to get together right away, others thought I wanted to be left alone. It's a wonderful network. "Twitter is a different story; Twitter could be really brutal. I try not to give rabid responses. Sometimes I fail." "I hadn't communicated in prison for almost five years," he said. "The last nine months I was allowed access to email a couple of times a week -- not internet -- but that changed my life there. That was a tremendous improvement to my psyche." He does not begrudge Obama the time he waited to be released. "When Judy and I met Obama, and she said, 'Thank you for bringing my husband home,' he said with great sincerity, 'I wish we could have done it sooner,' and I said 'better late than never,' Gross recalled. "The decision to bring me home could have only been made in the Oval Office. Was it made late? Yeah, but there are other things going on in the world, things that are also important, maybe more important than Cuba because Cuba represents no threat to anyone." In fact, Gross obtained an absentee ballot in the 2012 election and voted for Obama. He is also grateful to three lawmakers who led the fight for his release: Sens. Patrick Leahy, D-Vt., and Jeff Flake, R-Ariz., and then-Rep. Chris Van Hollen, D-Md. (now a U.S. senator), as well as to the organized Jewish community. "The reality is it was the grassroots effort in the Jewish community who tipped the effort," he said. "There were tens of thousands of emails, literally tens of thousands, that’s what tipped the scales. My redemption from Cuba is a story of activism." What does Gross want the world to know? That he was not a spy and Cuba's authorities never him considered one: He was convicted of crimes against the state. Misreporting that characterized him as a spy means he cannot get back into the business he loves -- the development of emerging economies. Gross appears regretful, but also sanguine. "In the countries where I work, emerging markets, I can imagine people looking at me with a stink eye, 'is he or isn’t he?' I’m not, I never was, I never will be [a spy]," he said, "but that eliminates an ability to regain client trust." Not great, and not as good as his Spanish, which improved vastly in a Cuban jail. Joking, he says "I can say 'why not?' in six languages."